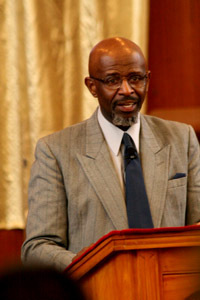 Pastor Otis Brown came from Seattle Washington to Tucson Arizona as a single man to pastor Siloam in December of 1996. In Seattle, Pastor Brown was bi-vocational. He pastored for eight years and owned his own construction company, Pastor Brown now builds lives that create homes that are a testimony to the Supremacy of God. 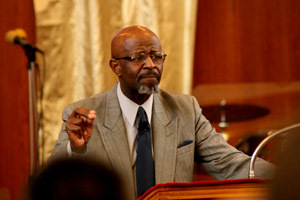 Pastor Brown has attended a number of Bible institutions and is a graduate of Union Western Seminary and has a Masters in Theological Studies. Pastor Brown comes from a family of pastors and ministers. 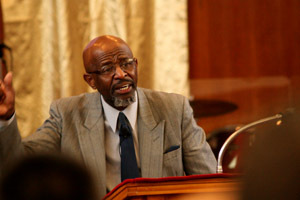 Dr. Otis F. Brown Sr., his father, retired after 50 years of pastoring. In August 1997 Pastor Brown was united in Marriage to Sis. Lendor Marks and since then they have become a dynamic team in ministering to the needs of God's people. In 1998 Pastor Brown worked to incorporate the church and later pioneered purchasing the building at 628 E. Adams. Pastor Brown believes strongly in the unity of the family, whether it is the individual family, church family or the family of God. Siloam Freewil Church is anointed to restore unity to the family. Pastor Brown believes in teaching and preaching the whole truth, for the truth will set you free.